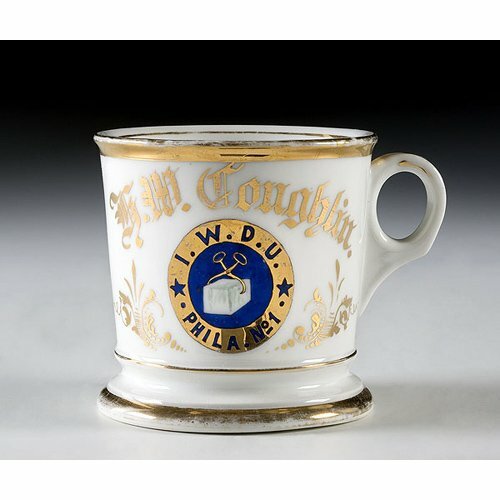 Fraternal & Occupational Shaving Mug, Ice Workers Delivery Union, porcelain with polychrome painted symbol of the International Ice Workers Delivery Union, with a central block of ice within the symbol. Gilt name G.W. Coughlin. Marked T & V Limoges, France.